Blink Brow Bar > Blog > Eyebrow Shaping Vancouver > Top Beauty Trends of 2016, a Blink Team Round-Up! 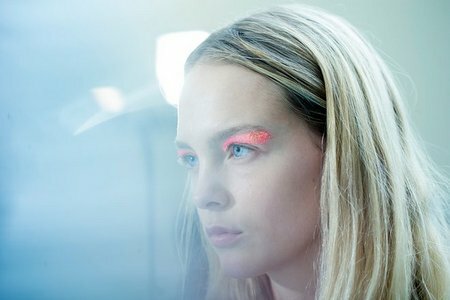 Before we look ahead to 2016 beauty trends, let’s reflect on the hot styles of 2015 that influenced fashion around the world. It was a year when eyebrow threading was as big a trend for men as it is for women – so much so that our new Prime Minister Justin Trudeau earned special mention in an article in The Guardian for his well styled man brows [read the whole thing here: Eyebro: Justin Trudeau, Canada’s new prime minister, gives good brow (and here’s how!)]. It was also the year of the #KateEffect, with the well-defined brows of Catherine the Duchess of Cambridge and stars like Taylor Swift trending around the globe. 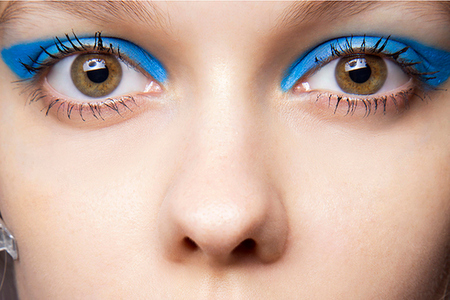 Several designers played with pretty metallic eyeshadow, sparkling lashes, and even shimmering lips. Is it just us, or is it a fitting trend for the spring when the world is mourning the loss of music legend David Bowie, who gave us Ziggy Stardust? This Giambattista Valli Spring 2016 look in Vogue is perfection, no? Sharpen those eye pencils, #BlinkBeauties! Note the proliferation of black eyeliner, charcoal, and dark brown eye pencils defining eyelids. 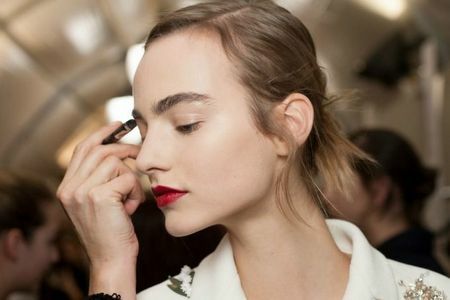 Some opt for the basic top liner while others line both top and bottom, perhaps with a wing or full cat’s eye for something a little more sultry. Ready to put your best face forward for 2016, #BlinkBeauties? We’re here to help you look and feel your best.